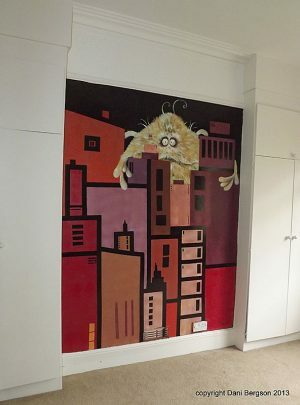 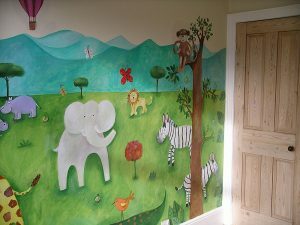 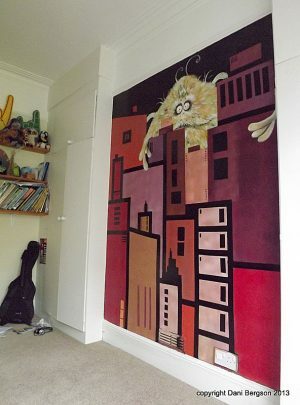 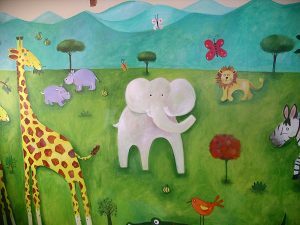 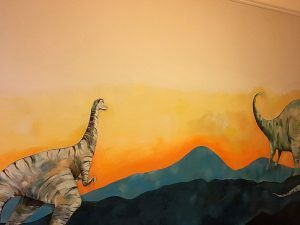 A humorous Cat & Dog Art Mural painted for a children’s bedroom. 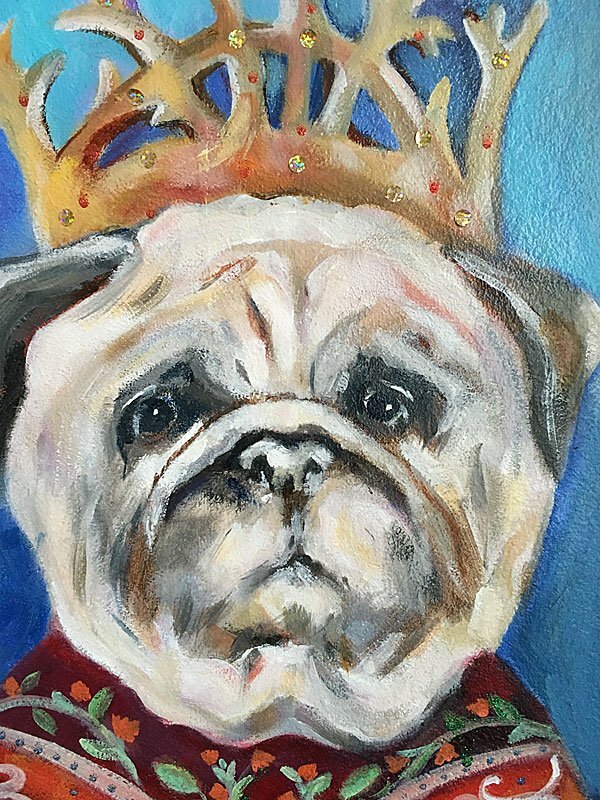 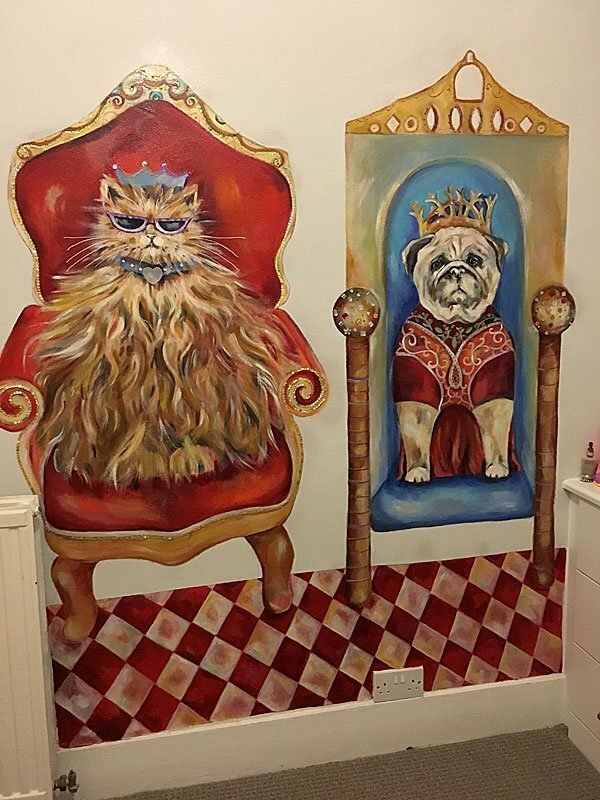 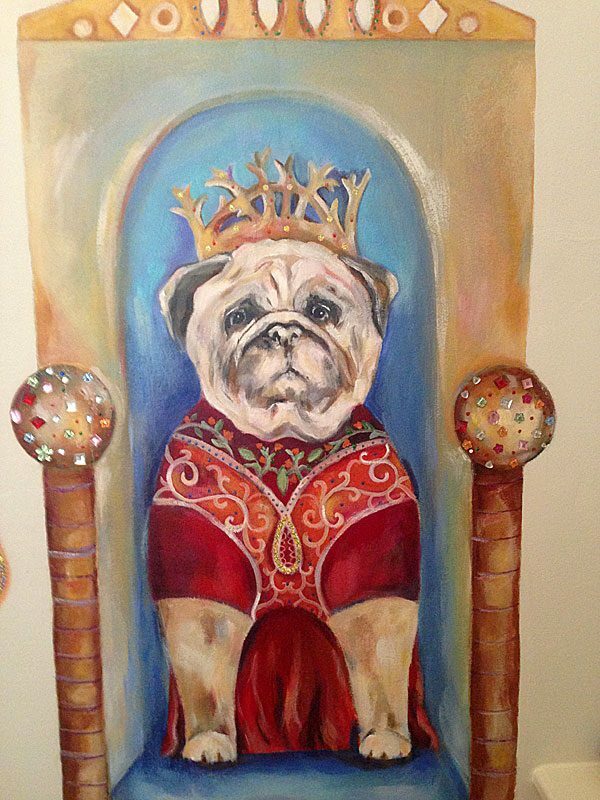 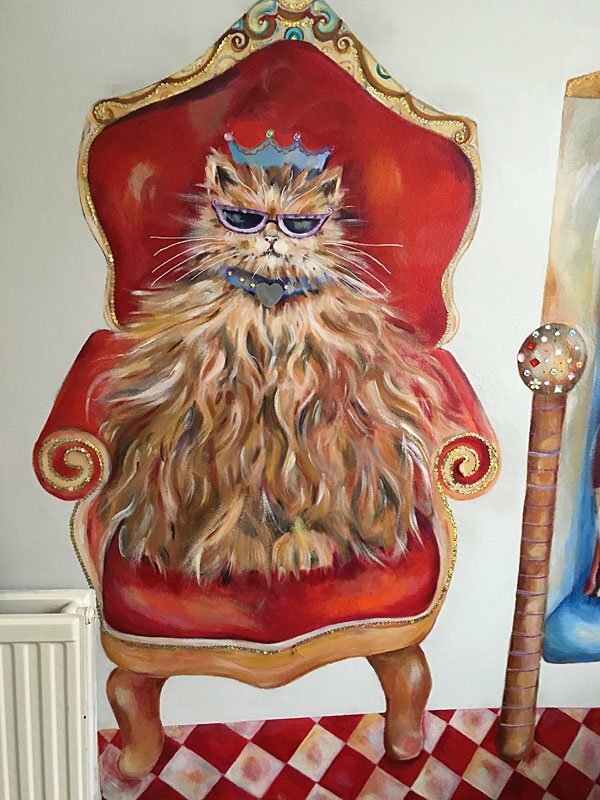 The client wanted a quirky, fun Mural depicting a Cat & Dog sitting on individual thrones embellished with jewels, glitter and sequins. 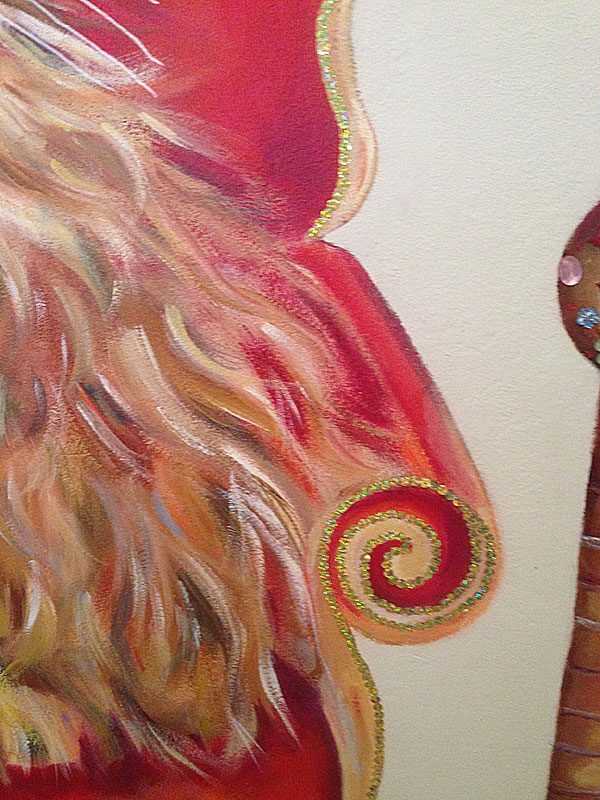 I have added large coloured jewelled stones to the thrones and varnished over to secure them.